Tarantino’s Western’The Hateful Eight’ Gains Legendary Composer!!!! Saturday at San Diego Comi-Con is a crazy busy day, but it gifts us, the fans, with tons of new information. One piece that came to us today courtesy of Quentin Tarantino and his ‘The Hateful Eight‘ panel is the official poster for the Western that’s comprised of many of the same faces that are present in at least a few of the famed director’s pics. During the panel that consisted of Kurt Russell, Jennifer Jason Leigh, Tim Roth, Bruce Dern and Michael Madsen, Walt Goggins and Demian Bichir ,Tarantino announced that none other than legendary film composer Ennio Morricone will write the score for ‘The Hateful Eight‘ marking his first Western score in 40 years! The musician made a name for himself with scoring Spaghetti Westerns with one particularly memorable theme coming from ‘The Good, the Bad and the Ugly‘. I think of him, and Clint Eastwood, every time my phone goes off. Tarantino loves to educate his audience on matters that resonate deeply for him and today he declared the virtues of shooting on film, telling the crow that ‘The Hateful Eight‘ was shot using the same cameras that recorded classics including ‘Ben-Hur‘. The lucky ones in the crowd got to see an 8-minute clip of footage cut especially for the con. It, as yet, hasn’t been released for inclusion here. On the upside, we may get a ‘Kill Bill: Vol. 3‘! “Never say never, Uma really wants to do it.” Tarantino told the crowd referring to his leading lady, Beatrix Kiddo aka The Bride Uma Thurman. 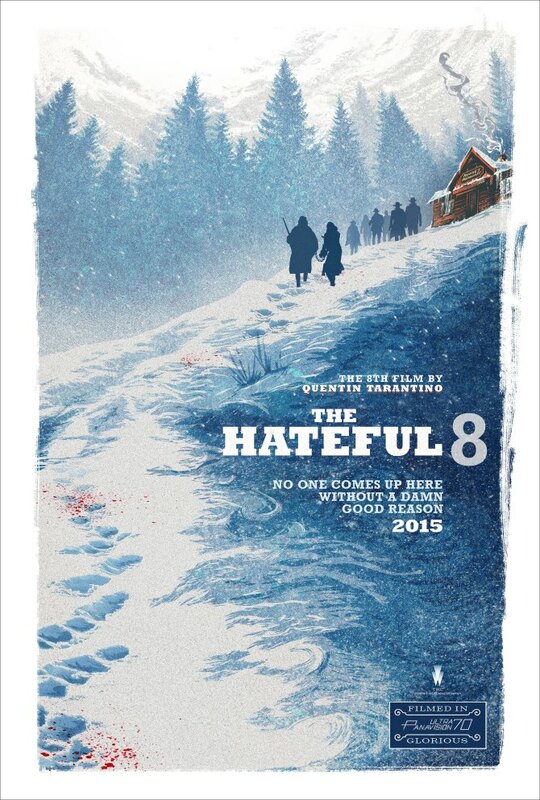 As for ‘The Hateful Eight‘ the film hits theaters on January 8, 2016. I can’t wait! ‘The Hateful Eight’ Drops To Blu-ray and Digital HD in March!!! 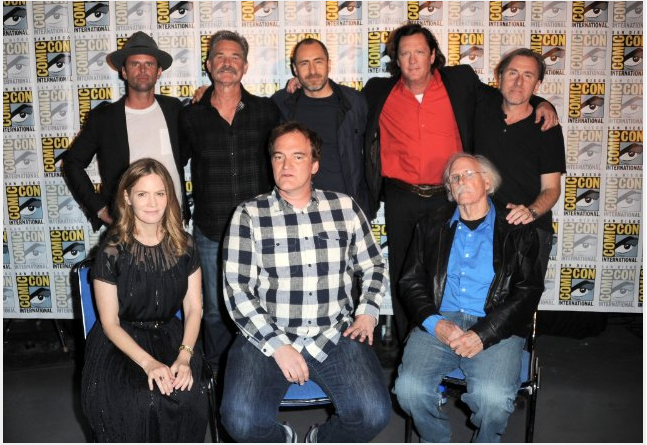 Tarantino Unveils Cast for ‘The Hateful Eight’!!! Quentin Tarantino Will Officially Make ‘The Hateful Eight’ And Has Announced His Cast!! This entry was posted on Saturday, July 11th, 2015 at 11:07 pm	and is filed under Events, Film, Music, News. You can follow any responses to this entry through the RSS 2.0 feed. You can skip to the end and leave a response. Pinging is currently not allowed. « We’ve Got The ‘Batman V Superman: Dawn of Justice’ Trailer From Comi-Con!! !